After graduating from Wayne State University with an MBA in Finance, Mr. Cross entered the machine tool business in Detroit, Michigan, with The Cross Company, (publicly traded) the world’s leader in Automated Machine Tools. Mr. Cross worked in many departments of The Cross Company, learning the business from the ground up.Mr. Cross co-founded, CP Systems Company specializing in high-speed, small parts, automated assembly machinery and built it up to an annual revenue base of $ 10.0 million. Mr. Cross sold CP Systems Company to Chicago Pneumatic Tool Company, a NYSE listed company. Mr. Cross entered the securities business through a training program with Eastman Dillon Union Securities in 1972. In 1974, Mr. Cross joined Kidder, Peabody & Company in their Detroit, Michigan.office and remained there until 1985 when he was transferred to Kidder’s flagship Park Avenue office in New York City. In 1985, Mr. Cross was elected a Senior Vice President and shareholder of Kidder, Peabody & Company. In 1988, Mr. Cross was transferred to Kidder’s San Francisco office and remained there until 1998. 2000, Mr. Cross co-founded Sonoma Photonics, Inc in Santa Rosa, CA where he served as CEO and Chairman until he resigned to return to Michigan in August 2002. During his tenure, Mr. Cross spearheaded the development of the business plan and raised $ 10.7 million in venture funding from domestic and European investors. Sonoma Photonics was sold to Northrop Grumman in 2008 for a significant return. In August 2002, Mr. Cross returned to Michigan and founded Windward Associates, a private investment partnership, where he focuses on capital formation advisory.Mr. Cross’ past board memberships include: G2 Networks, Inc. of Los Gatos, CA, Safari Technology Inc. of Lawton, Michigan, GCB Technologies of San Jose, CA, InGenius Technologies of Kalamazoo, MI., Wordenglass Inc. of Kalamazoo, MI., Machine Vision International of Ann Arbor, MI, Inivest of Detroit, MI, and Triumph Resources of New York City, and Pure Entropy Solutions of Lake Orion, MI[as Chairman], and MIST Innovations of Detroit as Chairman.Mr. 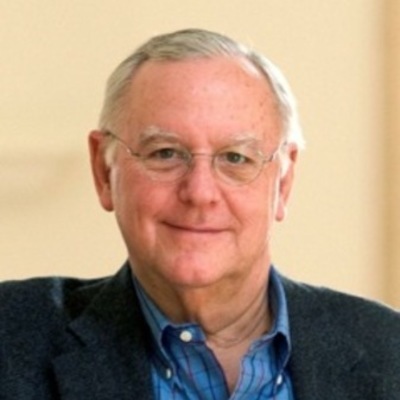 Cross was a founding investor of three companies resulting from MIT’s Technology Transfer Department: Intellitec, Axiomatics, and LNL Technologies. He served as a board member for Axiomatics and Intellitec. He was also a member of MIT’s Laboratory for Manufacturing and Productivity. He has served as a financial advisor to Triscend Semiconductor of Mountain View, CA, Macropore Corporation of San Diego, CA. and All-American Semiconductor of San Jose, CA. He currently serves as Board Chairman of Fusion Coolant Systems, Ann Arbor, MI, a Director of Monarch Antenna, a Delphi Corp. spinout, IROA Technologies, LLC of Ann Arbor, MI, ArdentCause L3C., NextCAT of Detroit, MI, Lead Director of AutoHarvest.org [501c-3], and Director and Interim CFO of InfoReady, Ann Arbor, MI. among others. Since 2002, he has mentored over 50 company founders in Southeast Michigan and has been instrumental in helping entrepreneurs raise in excess of $ 100 million of capital funding. Mr. Cross was named The Distinguished Alumni in 2005 by The School of Business Administration at Wayne State University where he is also their first Executive in Residence-Entrepreneurship. He also served on the Business School’s Board of Visitors and on The Critiquing Committee for their Entrepreneur Course relating to business plan development. He also administers the prestigious Adams Family Fellowship for Entrepreneurship for The Community Foundation of Southeast Michigan. He currently serves as business plan evaluator for the SEIC Michigan 21st. Century Jobs’ Fund Pre Seed Fund, the SEIC Michigan 21st.Century Jobs Fund Accelerator Fund, the SEIC Michigan 21st. Century Follow-On Fund, the SEIC Michigan 21st Venture Match Fund, The Great Lakes Entrepreneurs’ Quest and The First Step Fund in Detroit, MI. He serves on the Investment Committee of Invest Michigan and he is on the Board and Investment Committee of The Automation Alley Fund. He is a member of The Rochester Hills Mayor’s Business Committee. He was deeply involved in many aspects of TechTown, a Detroit based incubator from 2003-2009. He currently serves an adviser to The Zell Lurie Commercialization Fund at The Ross School of Business at The University of Michigan where he was named Outstanding Adviser for 2010-2011. Terry has served as a judge for The Accelerate Michigan Business Plan Competition, the largest such competition in the world with prizes totaling more than $ 1.0 million. In September of 2007, Terry was named to the Task Force for a World Financial Center by the Korea Advanced Institute of Science and Technology, one of Korea’s most prestigious educational institutions. In 2010 Terry was elected to the Board of the Detroit Chapter of The American Technion Society associated with The Technion in Haifa, Israel.He is a past Board member of Great Lakes Angels, a founding member of Michigan Venture Capital Association, a Board member of Automation Alley’s Entrepreneurial Initiative of Southeast Michigan, a Board Member of Ann Arbor Angels ,a former Trustee of Mariners’ Church of Detroit, and a former trustee of The Professional Children’s School of New York City and Chairman of The Executive Board of Michigan-Emerging an event focusing on the emerging sectors in Michigan’s economic recovery. Terry resides in Oakland County, Michigan.